Quaderno a righe con un verso della Bibbia per ogni pagina. In copertina, la scritta "Those who waitron the Lord shall renew their strength. 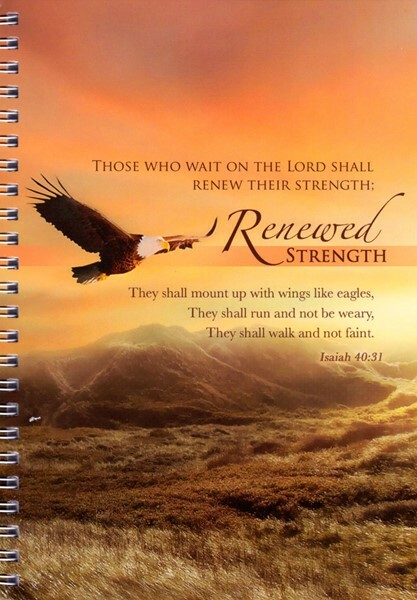 They shall mount up with wings like eagles, they shall run and not be weary, they shall walk and not faint - Isaiah 40:31".